The Oscar-winning drama Moonlight, written and directed by Barry Jenkins and based on Tarell Alvin McCraney’s autobiographical play In Moonlight Black Boys Look Blue, chronicles the life of a young black man from childhood to adulthood as he struggles to find his place in the world while growing up in a rough neighborhood of Miami, Florida. Nominated for eight Academy Awards, including Best Picture, Best Actor in a Supporting Role (Mahershala Ali), Best Actress in a Supporting Role (Naomie Harris), Best Director, Best Original Score, Best Adapted Screenplay, Best Cinematography, and Best Editing, Moonlight (which picked up a Golden Globe for Best Drama) is at once a vital portrait of contemporary African American life and an intensely personal and poetic meditation on identity, family, friendship, and love. 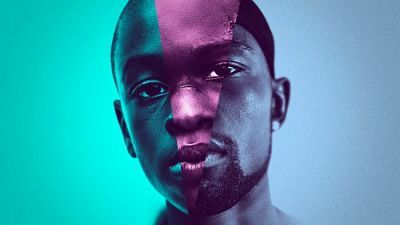 The Moonlight Blu-ray and DVD release special features include audio commentary with director Barry Jenkins and three featurettes looking behind the scenes at the making of the film as well as a deeper dive into the music and locations featured in the film.